A perception is that South Africa may be a dangerous destination for the foreign traveler. Let`s start with common fears and negative perceptions. International media has shown prominent attention on the “crime rate” in South Africa. This is the common worry of potential visitors. Like all countries, there is crime in South Africa. South Africa struggles against high unemployment rates. The Apartheid years also did much to destabilize the country, resulting in a significant percentage of the population being deprived of access to a quality education. This contributed to criminal elements turning to organized crime, forming gangs, linked to drug trafficking and house burglaries. These gangs are found mostly in poor communities, preying on affluent suburbs. This led to a growth in the security industry, where home owners beefed up security. The problem was largely controlled by the private security sector that patrol suburbs. Policing efforts were also ramped up, allowing for quick arrests. Strict jail sentences have also acted as a deterrent. Other crime issues are Cash in transit heists and robbery. South Africans have shown a commitment to future growth in all areas. This includes recognizing the crime issue and addressing it in a concrete manner. These are internal issues and very rarely affect overseas visitors. Looking at the actual picture in terms of statistics, the following is seen. According to visitors exiting South Africa who were asked for comment on their experience, 89 % reported no bad experience. The same group also showed very elevated levels of satisfaction with their visit. Those that reported incidents that involved personal safety issues, stood at 2.9% This is according to reported cases. The reason for this low rate of threat to overseas visitors is that most travelers will only visit mainstream Tourist areas that have high visibility and thus very good security. Since the World Soccer Cup in 2010, the South African Government has taken bold and active steps to stamp out crime within its Cities using modern policing strategies as a successful means of dealing with the issue. There are cameras mounted all over the central business districts. There are police foot patrols, police horse patrols, and private security personnel are also highly visible. South Africa also has a very established and highly regarded Judicial system. In addition, the general population is intolerant of criminals and actively will oppose it. The country remains on a steady foot, with a stable economy. The social problems that exist are being addressed. Looking at the 6.9 percent global average of Tourism growth, South Africa is at 15.1 percent. The long-haul market has grown by 21 percent. This shows the willingness of travelers to make their own assumptions, and the word of mouth from people they know who have visited South Africa. Across the spectrum of travel in South Africa, one finds a excellent infrastructure of hotels, Safari lodges, restaurants and places of interest. This is supported by a large road network, uncongested outside the cities, a choice of well run domestic airlines, friendly locals and many areas of great natural beauty. Other areas of concern for visitor safety are in the Wildlife reserves, including the famous Kruger National Park. 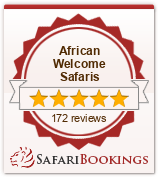 A very popular activity is a Safari. This is potentially a dangerous activity, as one is driven into the bush in the dark of night in an open vehicle. The walking Safari is taken in the day and involves walking through wildlife territory. On Safari, one will encounter many wild animals. However, the rangers that accompany visitors are highly skilled and have extensive knowledge of animal behaviors. They will be able to judge to what distance they can approach the wildlife and will be watching their behavior constantly. The rangers are also armed with heavy caliber rifles, should there be an emergency. It is known that wild animals mostly do not approach the Safari vehicles except the Elephant and Rhino. These are territorial animals and can show aggression to a vehicle. This is well known by the rangers who will keep a respectful distance. Potentially at greater risk will be the self-drive visitor, There have been quite a few cases of people being injured by Elephants overturning a car that breached the animals personal space. Or those that got out their car in a wildlife area and got mauled by lions. It is imperative that one keeps a distance from large animals, and under no circumstances should leave the vehicle. Numerous cases of visitor fatalities have occurred in the sea and mountains. South Africa is flanked by the Indian and Atlantic oceans with many splendid beaches. However, great caution should be taken when swimming due to frequent rip currents that occur at most beaches. These can strike in shallow water and will pull a person out to sea within seconds. Never swim in the sea without lifeguards around, and where there are warnings about currents. Another dangerous place is on the rocks by the seaside. Many anglers and sightseers have been washed off the rocks to their peril by wild freak waves. The mountains also pose a risk, as many are within the big cities and tempt visitors to embark on a hike. It is well known that what may start as a warm day, may turn into a cold rainy day. Those visitors that have not prepared correct clothing will find themselves potentially lost and in peril. However, the mountain rescue service is well established with rescue helicopters to assist. • Be aware of your surroundings and rather blend in. • Plan your day with a good map. • If caught in a current, do not fight it, swim back when out of it.